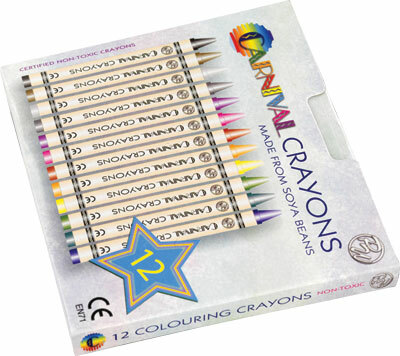 Pack of 12 crayons manufactured from Soya. Box is personalised on the back. Price includes a one colour print in one position only. Suitable for one colour printing on the box only.